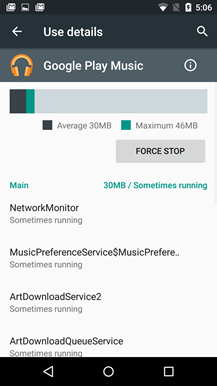 At the moment Android does a pretty decent job of managing its memory... but not a very good one of telling you exactly how it does that. The "Running" portion of the Apps menu in Lollipop shows what's being used by your system and your apps, then a list of apps' RAM usage (with numerical readouts only), and that's it. Starting with the Android M Developer Preview, this screen is much more informative, breaking down both the current and recent RAM usage on a per-app basis. 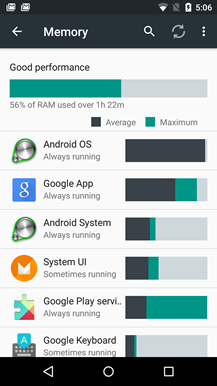 To see the new RAM Manager in Android M, go to the main Settings menu, then tap Apps. 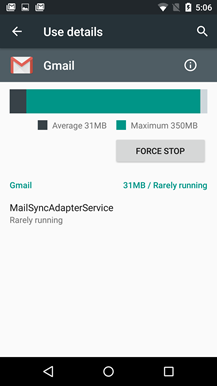 Tap the hamburger menu button in the top right corner, then "Advanced," then "Memory." (It's a little out of the way.) 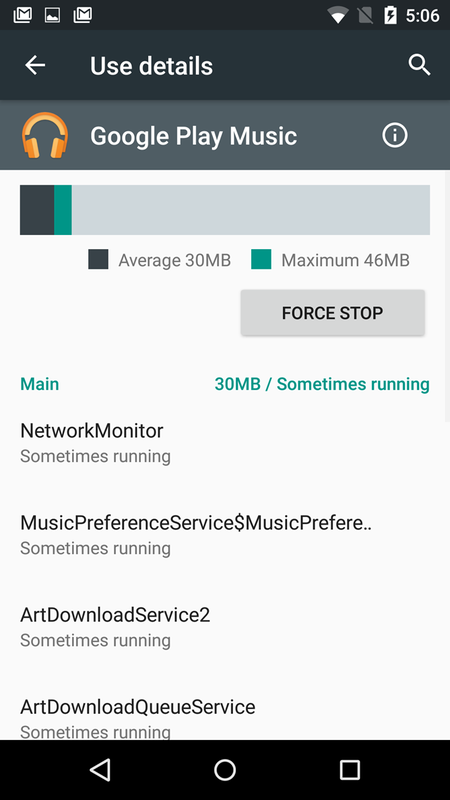 The primary slider now shows you how much you've been using in the recent past with a rating ("good" in the case of my freshly-flashed Nexus 5) and the app list is organized from the most memory-hungry apps at the current moment to the least. 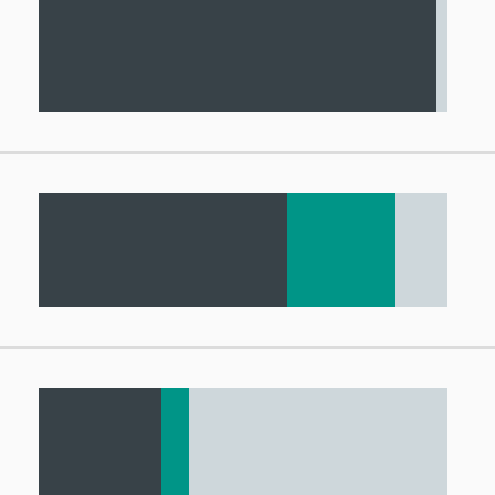 Note the dark and light green bars: dark green is the app's current average memory footprint, light green is the maximum memory that the app has used recently. This should allow you to track down memory hogs, even if they've closed or crashed. Tap on an individual app for more detailed information. In addition to numerical readouts for the average and maximum memory usage, you can see which processes were and are running, and manually stop the ones that are still active. Neat.